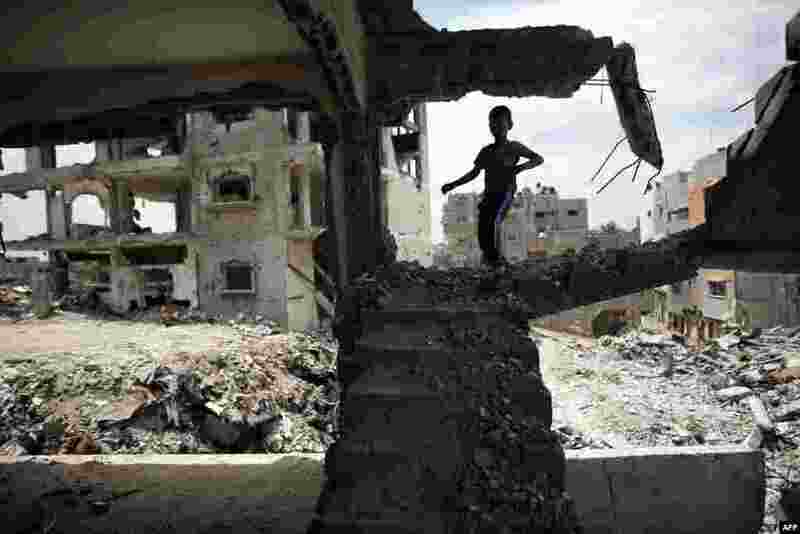 1 A Palestinian boy plays amid the rubble of his familiy's former house which was destroyed during the 50-day war between Israel and Hamas militants in the summer of 2014, in the Eastern Gaza City Shujaiya neighborhood. 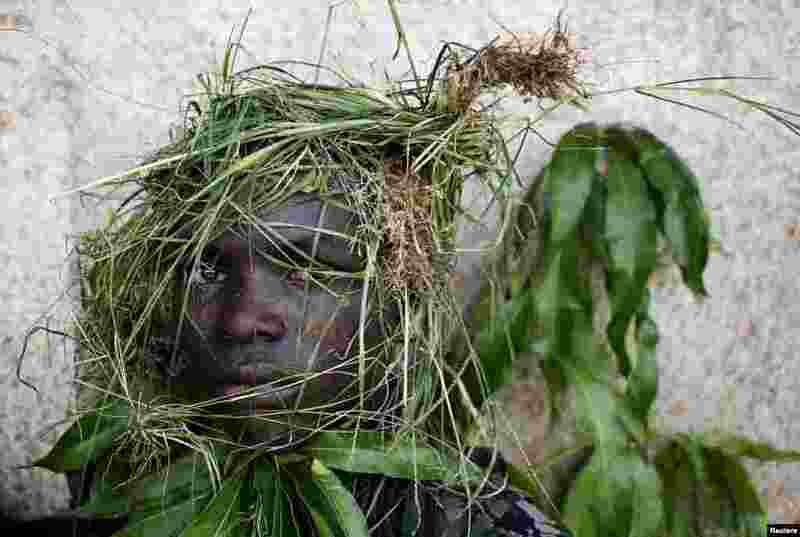 2 A protester wears grass around his face to obscure his identity during a protest against President Pierre Nkurunziza's decision to run for a third term, in Bujumbura, Burundi. 3 An Afghan health worker administers the polio vaccine to a child during a campaign at a refugee camp on the outskirts of Jalalabad in Nangarhar province. Polio, once a worldwide scourge, is endemic in just three countries now: Afghanistan, Nigeria and Pakistan.